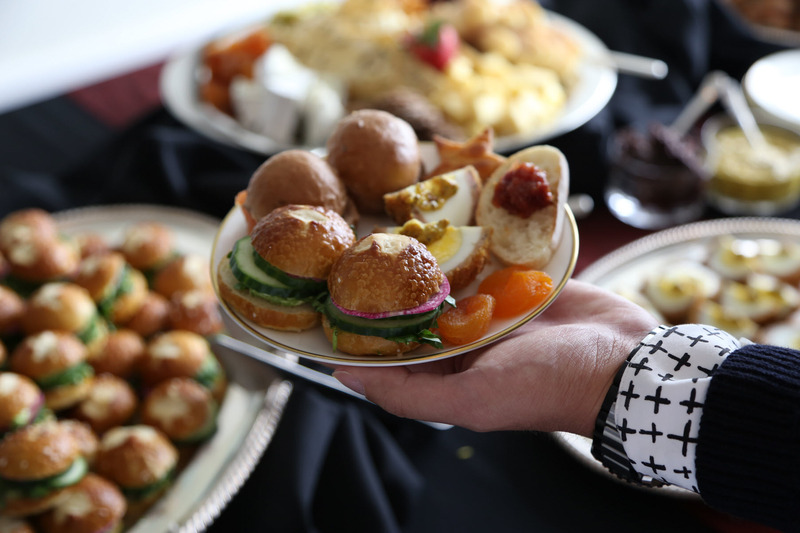 In honor of Queen Elizabeth’s 90th birthday, the British consul invited Chicagoans to sample top-quality British cheeses, sandwich combinations, wines and spirits. That may seem like a contradiction in terms to some here in the U.S. who have traditionally not considered England a model of good cuisine or a source of good wine. But the British have always been known for their broad range of beers and ales (served room temperature), and the U.K. is also proud to be the source of 70% of the world’s brands of gin. The cheeses were savory and the finger sandwiches appealing, making a nice showing for our fellow-English-speaking allies. Cheeses included Amber Valley Sage Derby (a surprising pale-green-laced yellow cheese with a soft texture like Havarti), Amber Valley Blue Stilton (beyond comparing with the average blue cheese you get here in America), English Vintage Reserve Cheddar (the British do a great job with cheddar), Wigmore Soft Brie, and Dunlop Mild (semi-soft and pleasing). Next to them were plates of a well-known British snack known as the Scotch egg – breaded and deep-fried hard-boiled eggs – served sliced in quarters and topped with a dab of grainy mustard. Familiar pub fare. The event also showcased several brands of gin made in the U.K. Gins, including Beefeater, Hayman’s, Sipsmith and Plymouth, offered creative cocktails using various combinations with Madeira, bitters and more. 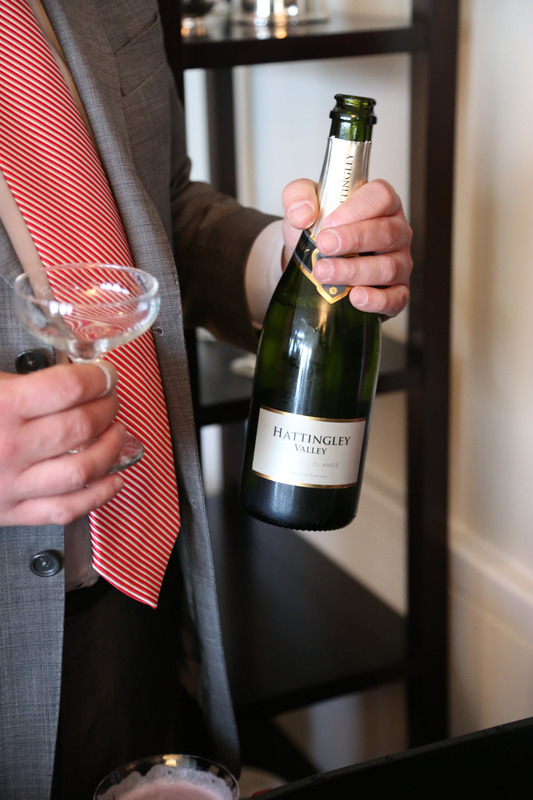 Guests were drinking everything from dusty dry to barely-sweet pink cocktails, and everyone lifted their glasses as the Consul General Robert Chatterton Dickson proposed a happy birthday toast to the Queen. The magnificent view from the consulate’s 61st floor home made an impressive background for Chicagoans joining in to celebrate good things British.